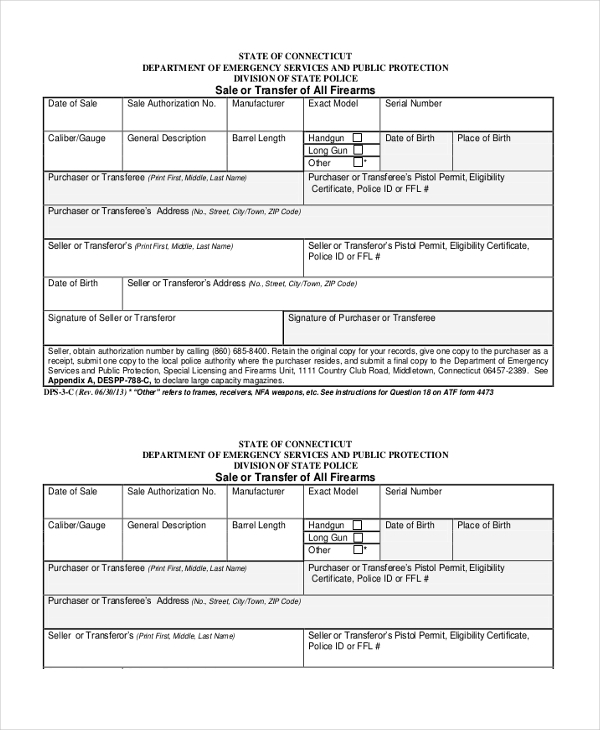 When a private party intends to sell a gun to a gun dealer or another buyer, in such cases, this form is used to transfer the ownership of the gun. As the name indicates, this form is used when the ownership of a gun is transferred from one person to another. The form is used to record the details of the two parties as well as that of the gun. This form is used by a gun dealer during the sale of a gun to transfer the ownership of the gun to the person who buys it. When a person sells his gun to another party, he needs to transfer the license of the weapon too to the buyer. 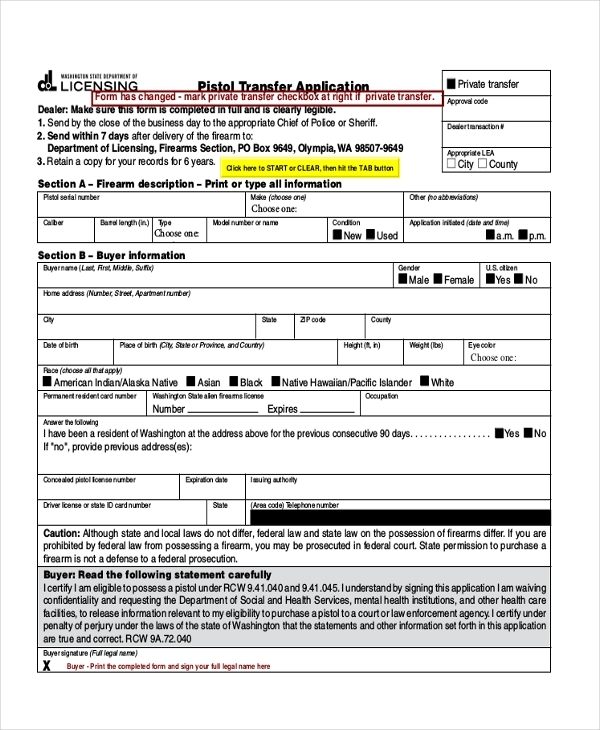 It is for this purpose that the gun license transfer form is used. As the name indicates, this form is used to assign a gun to a new owner. 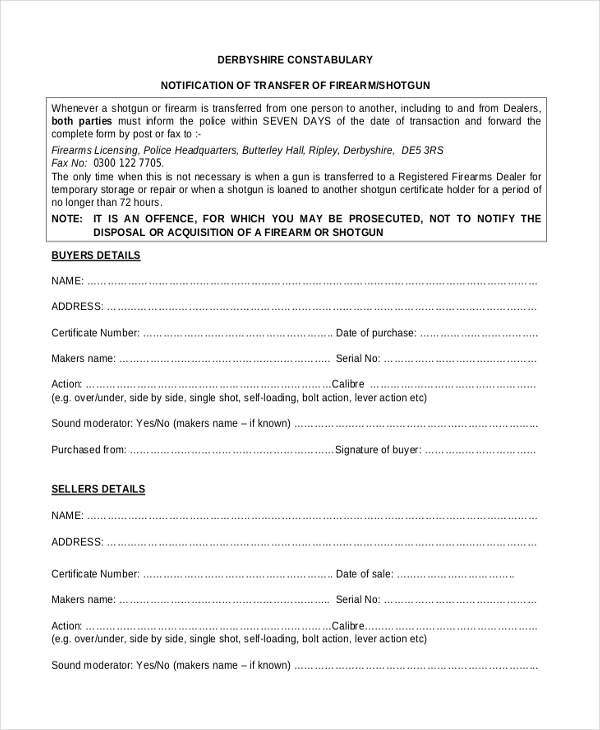 By using this form, the seller of the gun transfers its ownership to the buyer. For a person to buy and own a gun, there are certain parameters that he should match. 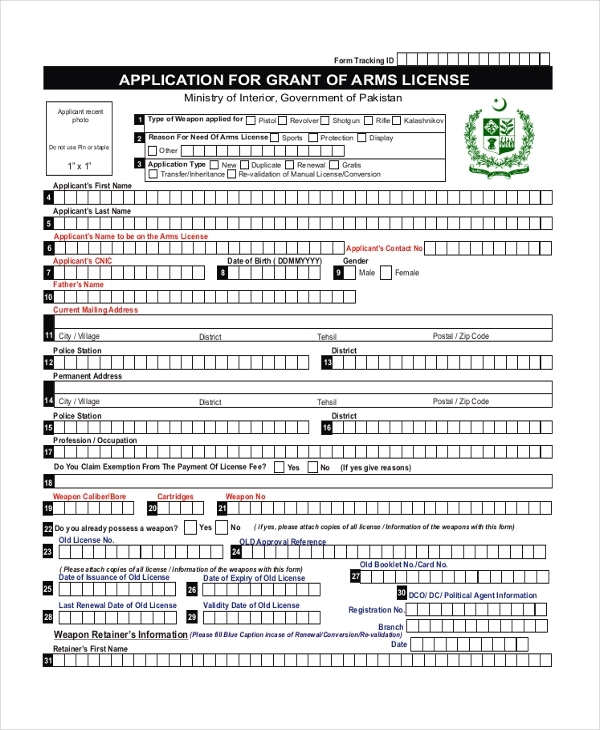 He is required to produce a certificate that proves that he is eligible to buy a gun. 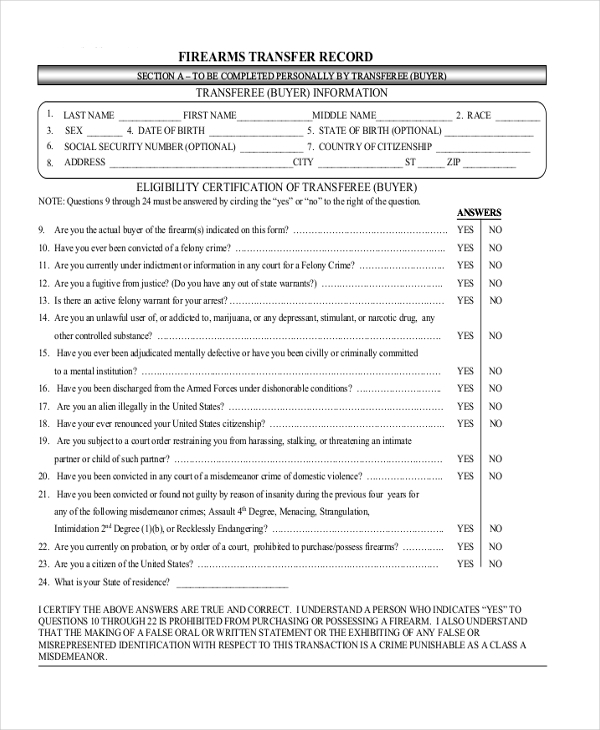 A government authority uses this form to issue such a certificate to the eligible person. When a person sells a pistol to another person or agency, he uses this form to transfer the ownership of the weapon to the new owner. 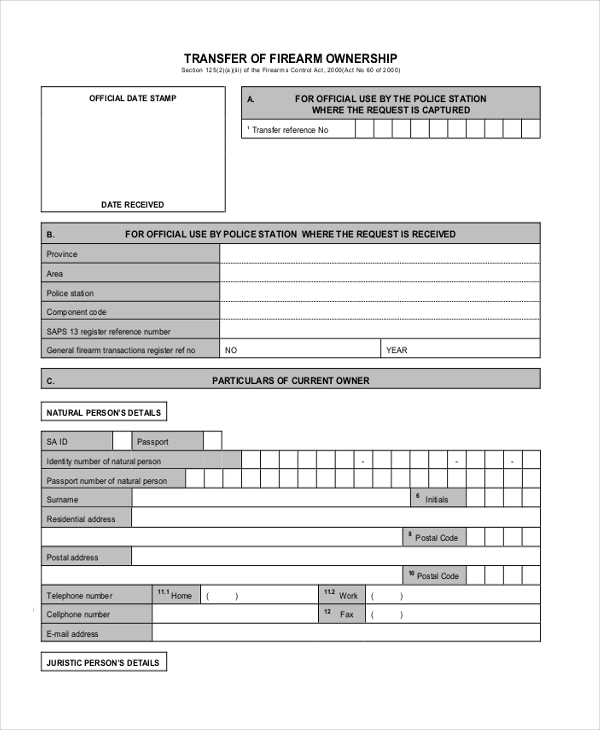 This form is generally used by a gun dealer to keep a record of the number of firearms that he has transferred and sold to other people over a period of time. What are the Benefits of Gun Transfer Form? What are the Important Subheads to be Included in Gun Transfer Form? Not sure how to design a gun transfer form? Don’t worry! 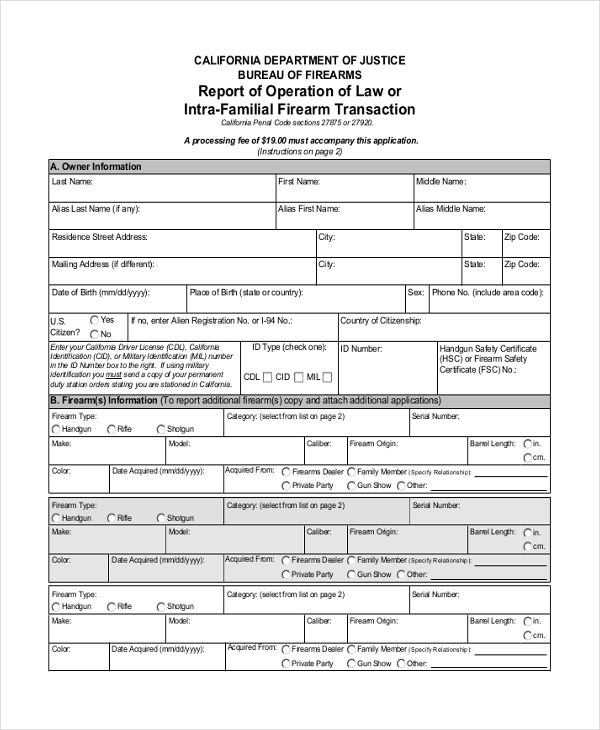 Check out our wide range of gun transfer forms online. Available in PDF form these are compatible with all software. You can easily download them and make changes as per your requirements. 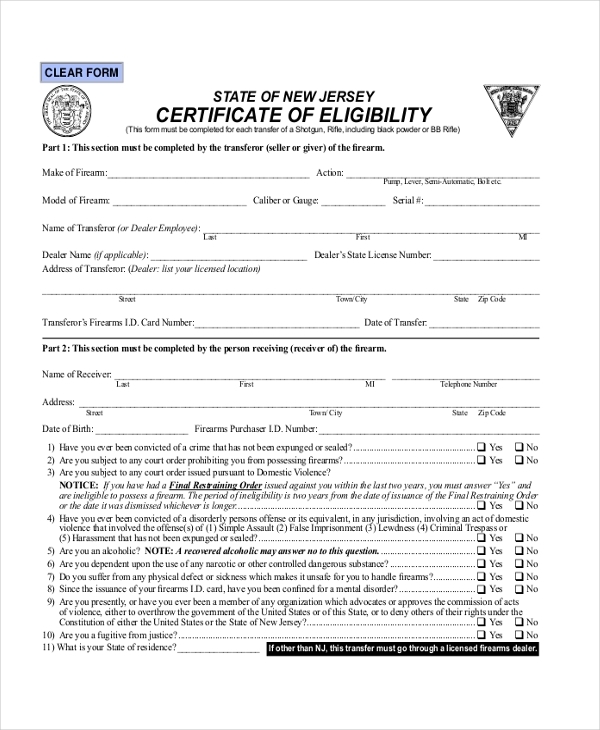 Since these are print-ready forms, you can design a perfect gun order form within a matter of a few minutes. You may also see Vehicle Transfer Forms.